The enchanted Galapagos Islands are said to be one of the most peaceful and unique places on earth. Tourists find it very peaceful and enchanting to explore these wondrous islands. The island chain was formed by many underwater volcanic eruptions over a long period of time. The Galapagos Islands are situated on the equator and have a total population of 40,000 people. The islands are located in South America and the official language spoken there is Spanish. In fact, Galapagos is a Spanish word that means saddle. The islands are located in the Pacific Ocean and are almost one thousand kilometers away from South America. There are 19 islands surrounded by numerous marine reserves. The location is also known as “the living museum” because of how it showcases evolution. Due to active volcanic eruptions and extreme isolation on the islands, new kinds of animal life evolved. 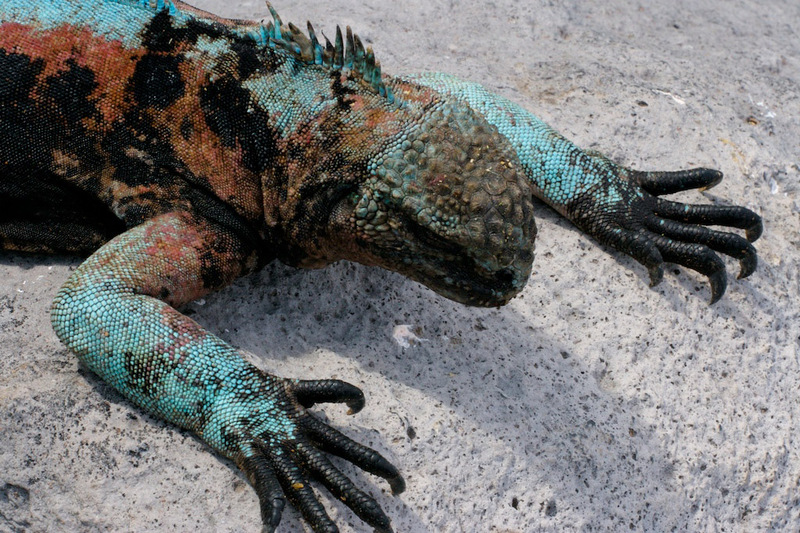 For example, one can see evidence of the evolution of giant tortoises and the land iguana. Both of which are documented in Charles Darwin’s theory of evolution. Even though the islands are located on the equator, water currents bring cold water to the islands, leading frequent rains all throughout the year. During the period from June to November the average temperature on the islands is 22 degrees Celsius. The temperature rises up to 2 more degrees from December to May with no winds but heavy rainfall. Some of the most visited islands are named Bartholomew, Culpepper, Hood, Narborough and Charles. I’m planning a trip to Quito and I was thinking of taking a day or two to see the Galapagos Islands. How would I get from Quito to Galapagos (boat or plane)? Also, how much does it cost to fly round trip or take a boat round trip? Thanks!!! Galapagos Islands is very good place to visit .. I think the picture is quite cute. That is not a island.